The numerous amount of software providers in the market today have increased the number of casino games by a very large number. Almost all popular movies or events has a wheel gracing players with huge winning potentials in casinos. Today we would like to talk amount one of the popular software provider that has had a substantial impact in the gaming industry. Saucify platform was originally created in 2006 with the name Betonsoft but had to undergo changes in its name in 2014 due to complications with Betsoft when trying to differentiate the casinos. 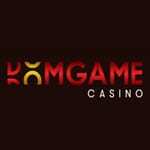 Although the casino did not state its reason for changing its name with such terms but told the public that it wanted to rebrand its games which they equally did. Most of their games provided in casinos have a customizable platform accessible only by the casino to effect some of the changes made by the company. A lot of casinos has carried out this duty while some are still lagging behind, so don't be surprised if you see a different style of play for a particular game in different casinos. Compared with a lot of other software providers, it can be said that the Saucify platform has built a very strong reputation that would keep its games booming for years. It’s understandable that most of the company’s games are running outdated graphics due to the continuous improvement that the gaming industry faces daily. A lot of slot games have been registered to the company's name with poker, cards, keno and table games having a fewer listing in most casinos that operates with the gaming platform. The Saucify programmers have created over 100 slot games with games like Robin Hood video slot, Molten Moolah and Arcardial 3d video slot taking precedence over the rest. Getting the actual Return to Player percentage put on this games is quite hard but it’s recorded that most of its slot games have very high RTP. There are a good variety of table games to choose from, while poker and keno games might not match the rest in numbers, you would still get to sees a few that would be worth your time. There are a lot of casinos that provides Saucify's games to players, so you don't need to worry about conducting a wide search before finding their games. The software providers did a great job in creating interesting casino games that have drawn a lot of players to the wheels of a casino. The slot games provided are fun-filled especially the once with 3D and HD graphics and would keep you in the right mood for gaming throughout your gaming experience. The graphics may be outdated but the actions and thrills involved in most of its games would never get old. Providing unique casino game might be the basic thing expected form every software provider but the fact that the security of the casino game also holds the same importance is most times forgotten. There is no gambler who would be willing to place funds on an unverified casino game, the authenticity of the casino's outcomes is the first thing every experienced gambler considers. Saucify programmers had equipped themselves with the norms of the games so the aspect of security did not in any way take them unawares. Even before the company changed its name in 2014, the platform made sure that players would not be scared of staking on their games due to fear of rigging by running all their software with a Random Number Generator. These saw the casino collect the award for the best RGN supplier of the year. The company has also claimed numerous awards due to the hard work and determination they put into every casino game they create. No report of unpaid winnings from their machines has been heard since their inception. Although instant payment is not possible due to the progressive and non-progressive jackpot machines the company possess but be rest assured that your winnings would certainly be credited into your account in good time. Only casinos in the US provides the company’s casino games for players to enjoy. It’s a very big downside on the company’s path but it’s certain that with the rate at which the US gambling market is expanding, the company would be able to provide games to a wide range of casinos in no time. Playing at any casino that offers the company’s games online would give you the opportunity to enjoy a lot of enticing bonuses. The Saucify's slot games available in most casinos offer a good amount of free spins, a bonus round and lucrative scatter and wild symbols. Most of the games come packed with all this feature so be ready to enjoy every bit of your gaming adventure. As stated above, the RTP percentage for each game differs and is hard to get detailed information on it from the company but playing the games have made us certain that the RTP offered in most games are high and would certainly help you accumulate a good win. There are a lot of casinos across the US that offers the platform's games for players to enjoy, it took us a good deal of time to get the best casinos that would certainly provide the gaming experience that you are looking for. Our top three picks are Vegas crest casino, Jumba Bet and VideoSlots casino. It’s no news that the casino gained most of its reputation form the fact that it stood its ground in providing only instant play format to players and was among the first casinos to provide games with instant play. The platform has proven itself to be among the peoples favourite by giving its players opportunity to express their thoughts on the do’s and don’ts of the casino with the promise of a reasonable adjustment made on any verified issue. Saucify software providers have claimed a good deal of awards within their 14 years of existence with over a billion people said to have graced the wheels of the games provided by the casino, it's certain that the games provided by the platform would be a wise choice for any gambler. 45 Free Spins Last Day! Slots Empire no deposit bonus codes 2019 – 10 Free Spins! Paypal Casino Deposit? 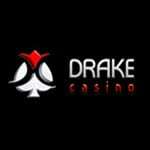 >Paypal Deposit Online Casino Real Money! Blackberry Casino Games?Blackberry Casino No Deposit Real Money! Slots Empire no deposit bonus codes 2019 â€“ 10 Free Spins!